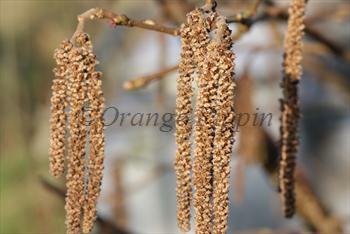 If you are new to growing hazels then Gunslebert is a good starting point. 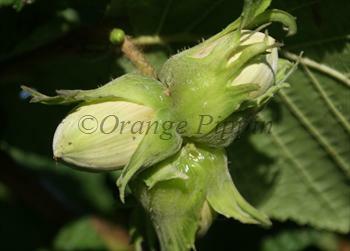 Gunslebert is a relatively new hazel nut variety which produces substantially heavier crops and larger nuts than the traditional English varieties. It is also precocious and comes into bearing within a couple of years of planting. Please fill in the details below and we will let you know when Gunslebert hazel trees are back in stock. Gunslebert is partially self-fertile, but fruiting will be improved if there is a compatible tree of a different variety nearby. Gunslebert is of low to medium vigour. It is partially self-fertile and can be pollinated by other varieties including the Common Hazel which is widespread in UK hedgerows. Gunslebert produces plenty of catkins and is a good pollinator for other hazel varieties, including Butler, Hall's Giant, and Lange Tidling Zeller.